The Philippines topped the list in "The Texting Capital of the World" and the country has witnessed the growing market for smartphones. Now, the mobile revolution is not just focused on messaging but with other functions as well. Social networking that's accessible via smartphones, including games, chat and call features are just some of the things that greatly attracts everyone's attention. Thus, WeChat 5.1 was launched. WeChat is the most-searched social messaging app in the world. It is easy to download this free app or update your own version of WeChat and enjoy the latest features such as games. The launched was held at the Manila Ballroom of Shangri-La Hotel in Makati last January 23 and Steve Zheng, the Business Development Manager of WeChat flew all the way from China just to introduce WeChat 5.1 and its new features plus its cool games. 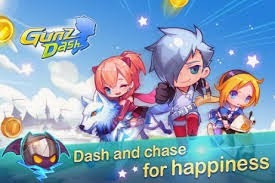 Play games with your friends such as Gunz Dash, one of the pioneering titles of WeChat Games, allows players to choose their favorite heroes as they go on an adventure in a fantasy universe. This is a very exciting game and I've been hooked since I downloaded it during the launched. Craz3 Match. Another exciting game that is equally addicting as Gunz Dash. Try to eliminate 4-5 tiles to earn higher points. The characters are cute also! 2Day's Match. Another cute game with uber cute characters. Kids will surely enjoy this game.